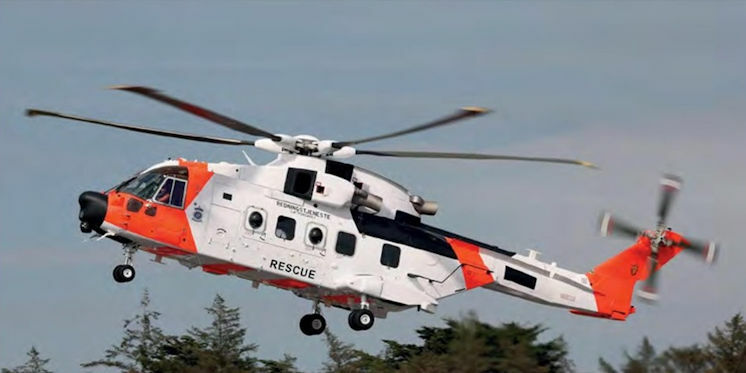 Kongelige Norske Luftforsvaret AW101 Mk612 completing flight training at Newquay. 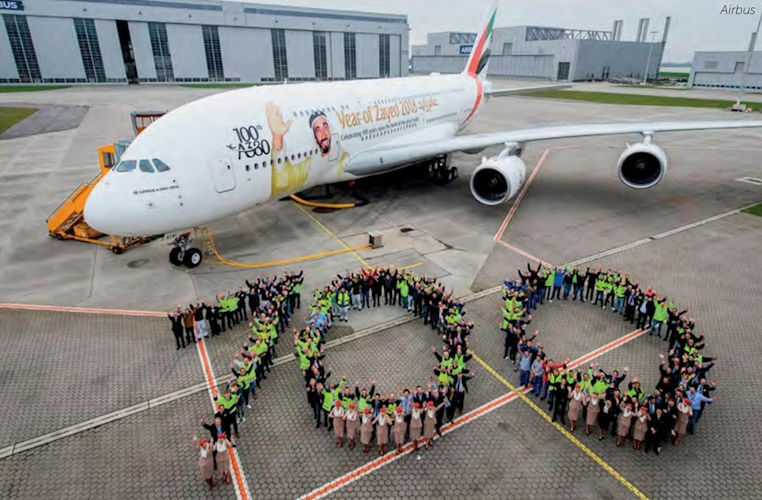 The aircraft involved was ZZ101 (0264). 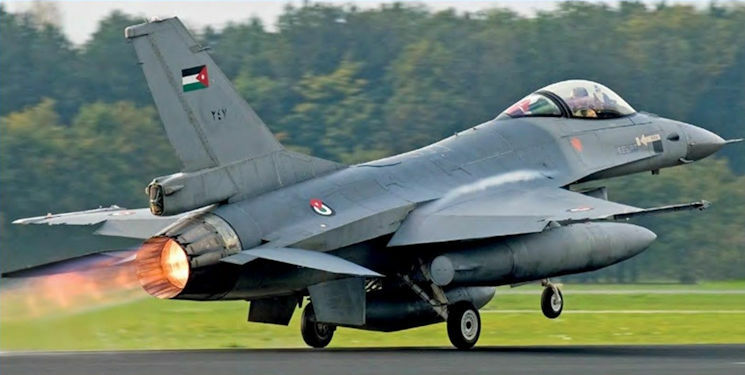 Royal Jordanian Air Force F-16AM 247 (ex KLu J-199, FMS 83-1199) takes off from Volkel Air Base in the Netherlands for the first leg of its delivery flight to Jordan. 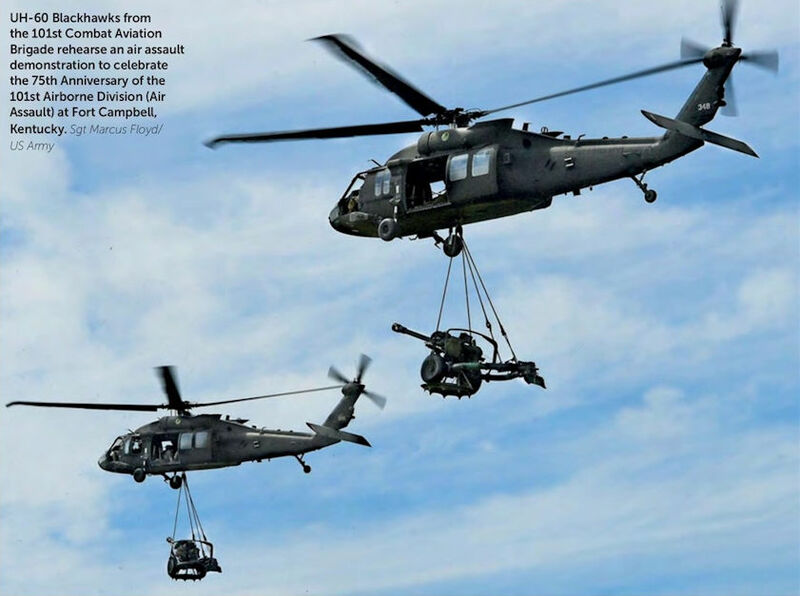 UH-60 Blackhawks from the 101st Combat Aviation Brigade rehearse an air assault demonstration to celebrate the 75th Anniversary of the 101st Airborne Division (Air Assault) at Fort Campbell, Kentucky. F-22 09-4185/FF, one of six to stage through RAF Lakenheath homebound to Langley after a six-month deployment. 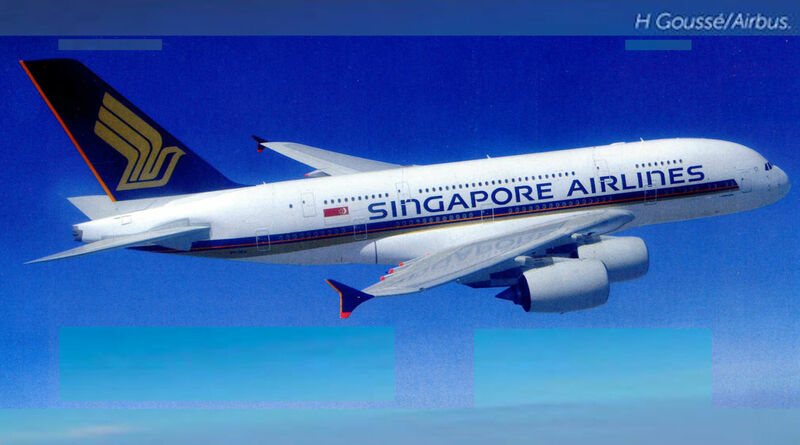 Singapore Airlines' newly revised A380 cabin layout has 18 more business-class seats. 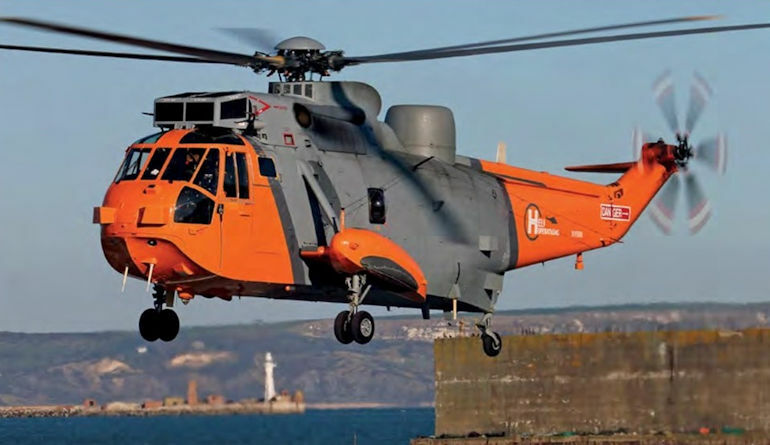 Westland Sea King HU5, XV666 is operated by Heli Operations at Portland, Dorset to train Marineflieger (German Navy) crews. Although the helicopter is owned by a commercial company it remains on the military register. Crew training has just started at the Portland base. 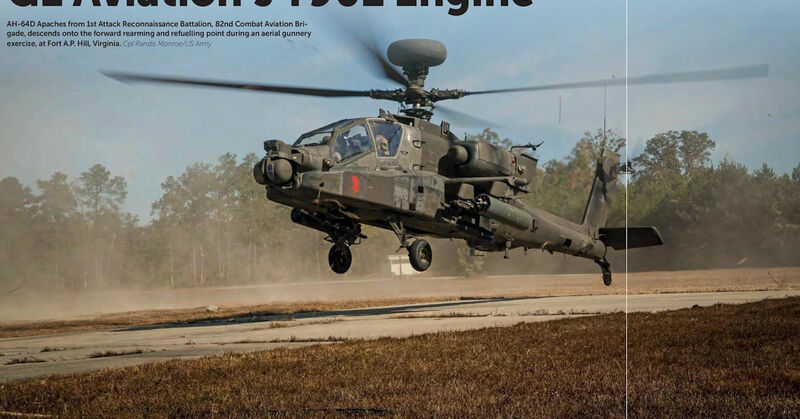 This shot was taken on November 8, 2017 during an exercise that lasted three and a half hours involving multiple landings. 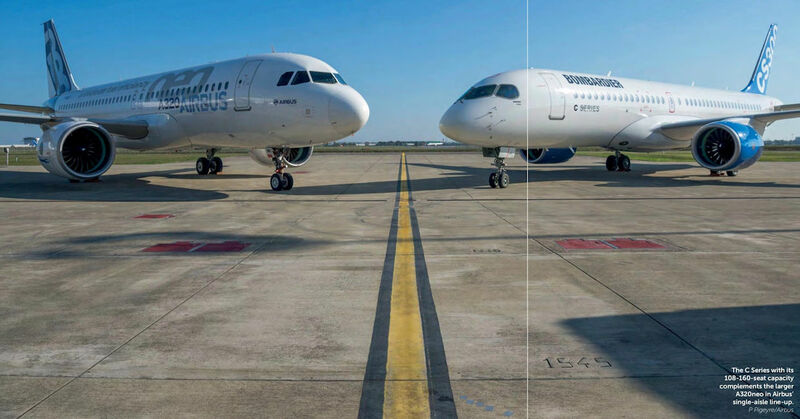 The C Series with its 108-160-seat capacity complements the larger A320neo in Airbus' single-aisle line-up. Qantas Airways has received its first Boeing 787-9, VH-ZNA (c/n 39038), pictured at a media event in Sydney after delivery. The aircraft is named 'Great Southern Land'; Qantas has given its first eight 787-9s names that refer to Australian landmarks, animals, literature and indigenous heritage. In 2018, Qantas will put the 787-9 into service on a Perth-London Heathrow rotation, the first regular direct flight between Europe and Australia. The 163rd Attack Wing has flown MQ-9s in support of civil authorities battling deadly wildfires in Northern California. MiG-29 type 9-13 18202 at Batajnica Air Base on static display for Sloboda 2017 loaded with a pair of R-27R and four R-73E air-to-air missiles. 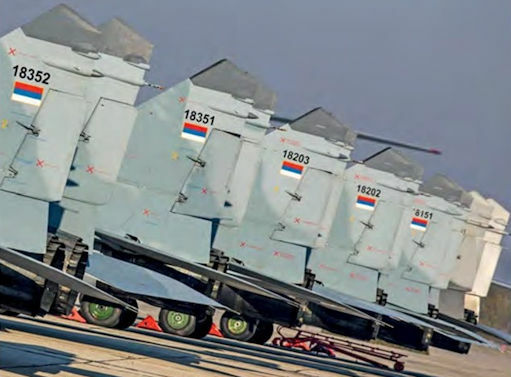 Tails of the five former Russian MiG-29s at Batajnica Air Base on October 20, 2017. Eastern Airways is now flying the first of two ATR 72-600s it plans to put into service. The aircraft, G-IACY (c/n 1448), leased from Nordic Aviation Capital and pictured in November 2017 on approach to Manchester, is being operated primarily to transport workers in the North Sea offshore energy industry between different points in the east of the UK. FedEx Express is the launch customer for the ATR 72-600F and is due to start receiving the new freighter in 2020. Stuart Mulholland, Managing Director, Zenith Aviation (left) and Marc Ghaly, Bombardier Aircraft Sales Director for Northern Europe and Israel shake hands following the October 9, 2017 announcement. One of the three A350-1000 test aircraft, F-WLXV (msn 65), during hot weather tests. 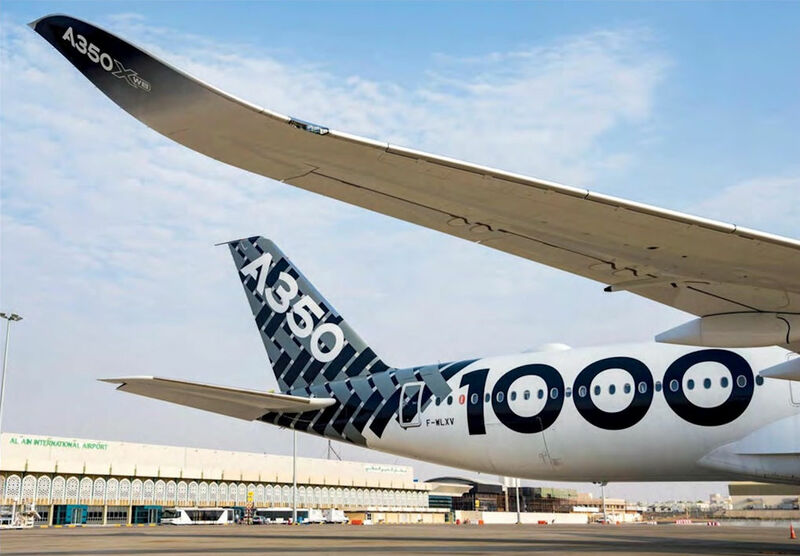 This second A350 XWB variant is due for service entry with Qatar Air­ways by the end of the year. Airbus A350-941 3B-NBP (msn 145) receives a water cannon salute at SSR International Airport ahead of Air Mauritius's first service with the type. 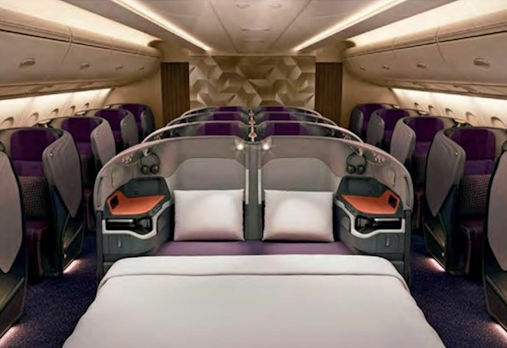 Seventeen airlines have now received A350s. Captured during recent test flying from Leonardo Helicopters' manufacturing facility at Yeovil in Somerset, was the first modernised Super Lynx Mk21B multi-role helicopter (designated AH-11B Super Lynx) for the Comando da Forca Aeronaval. 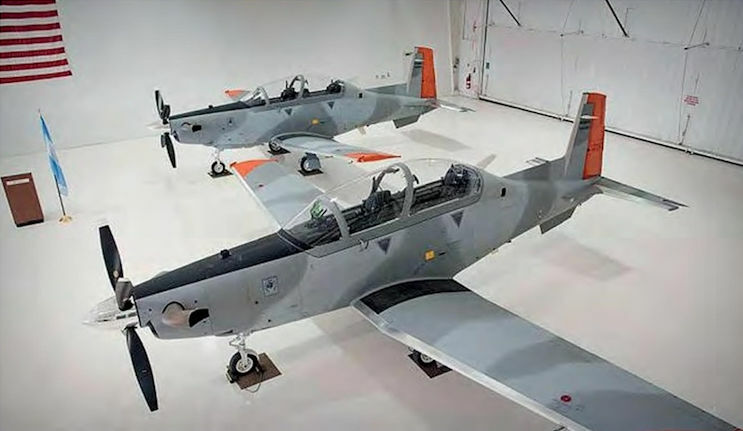 Two of the first four T-6C+ Texan IIs for the Fuerza Aerea Argentina at the manufacturer's factory in Wichita, Kansas shortly before delivery. 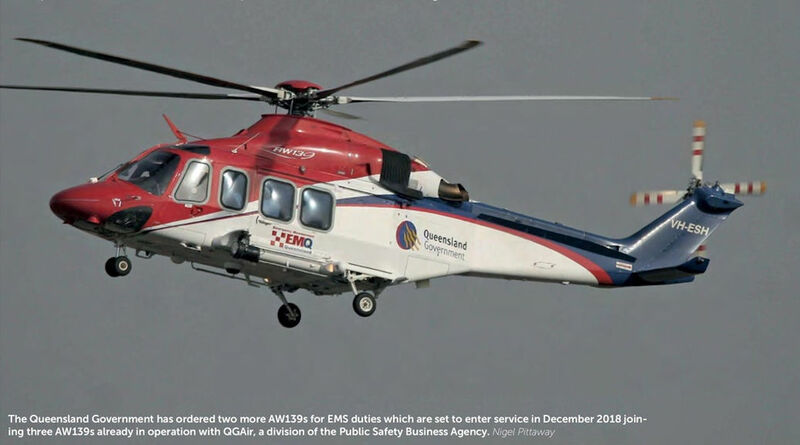 The Queensland Government has ordered two more AW139s for EMS duties which are set to enter service in December 2018 joining three AW139s already in operation with QGAir, a division of the Public Safety Business Agency. The day after their retirement from KLM service, four Fokker 70s were flown from Schiphol to Norwich, UK, where KLM’s engineering facility is preparing them for a new lease of life with carriers in Africa, Asia and South America. Korean Air Lines' first Bombardier CS300 HL8091 (c/n 550017) pictured departing Mirabel, Quebec, on its maiden flight. This is the first of ten CS300s for Korean, which will be the third C Series family operator after Swiss and Air Baltic. 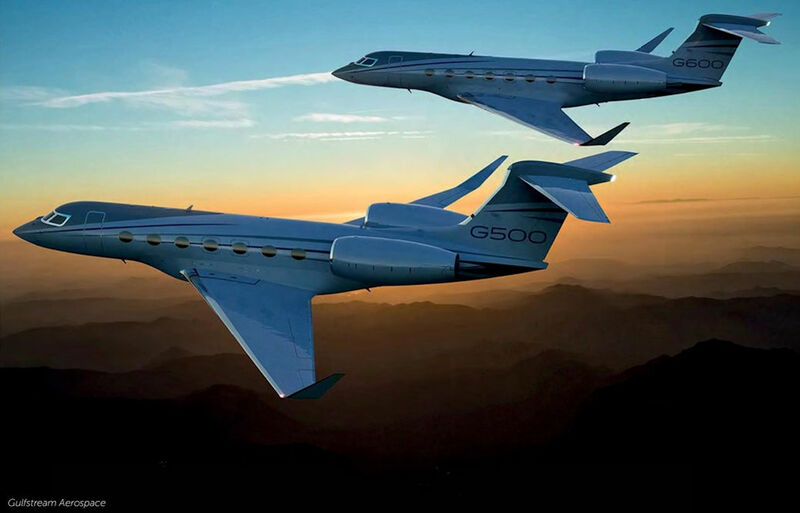 Korean will use the aircraft on domestic routes initially before placing it on Asian services. 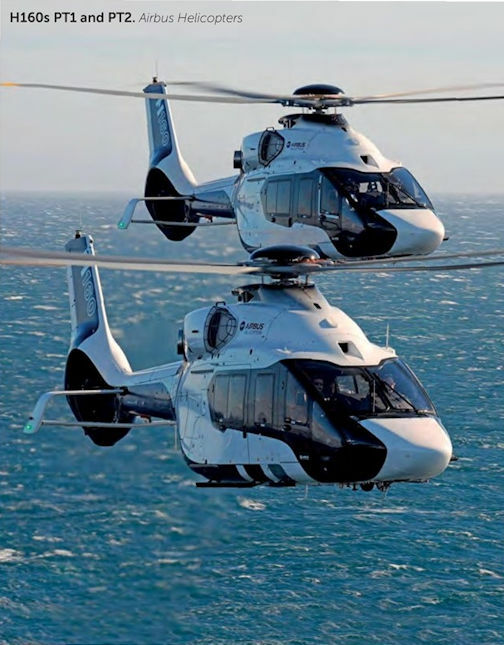 PDG Aviation Services based at Inverness, Scotland and Rotex Helicopters of Switzerland have signed a memorandum of understanding for PDG Helicopters to market the Kaman K-Max K1200 light lift helicopter in the UK. 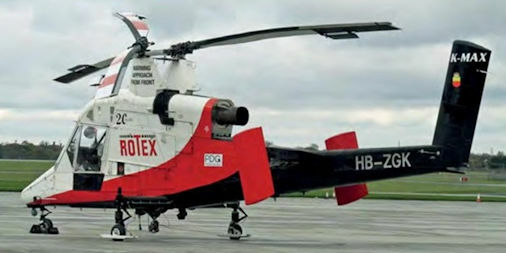 Rotex operates a fleet of three K-Max helicopters, one of which, K-Max K1200 HB-ZGK, made a fuel stop at Southend Airport on November 11, 2017 on its return to Switzerland following a light-lift charter at Cambridge in November. The first Super Hercules transport for the Armee de I'Air, 5836/'61-PO', was rolled out at Lockheed Martin's Marietta, Georgia, facility on October 20, 2017. 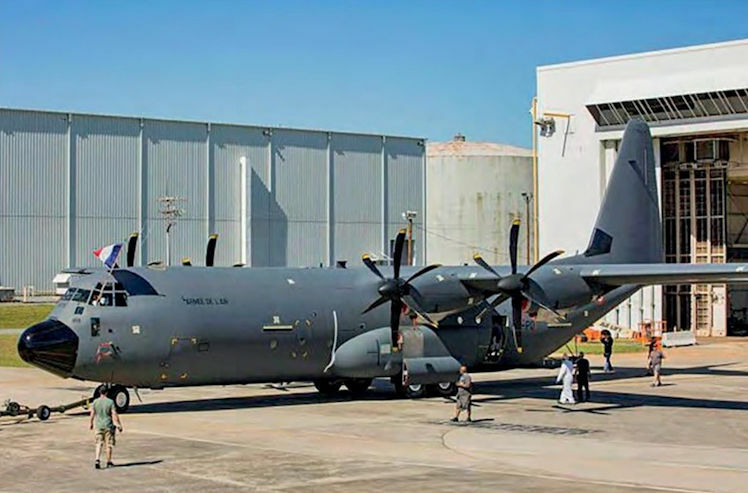 France has ordered two C-130J-30s and two KC-130J tankers at a cost of $170 million. Deliveries are to be completed by 2020. The C-130s will fly, along with six similar German machines, as part of a joint Franco-German unit to be based at BA105 Evreux in France. The unit will be established in 2021 and be operational by 2024. 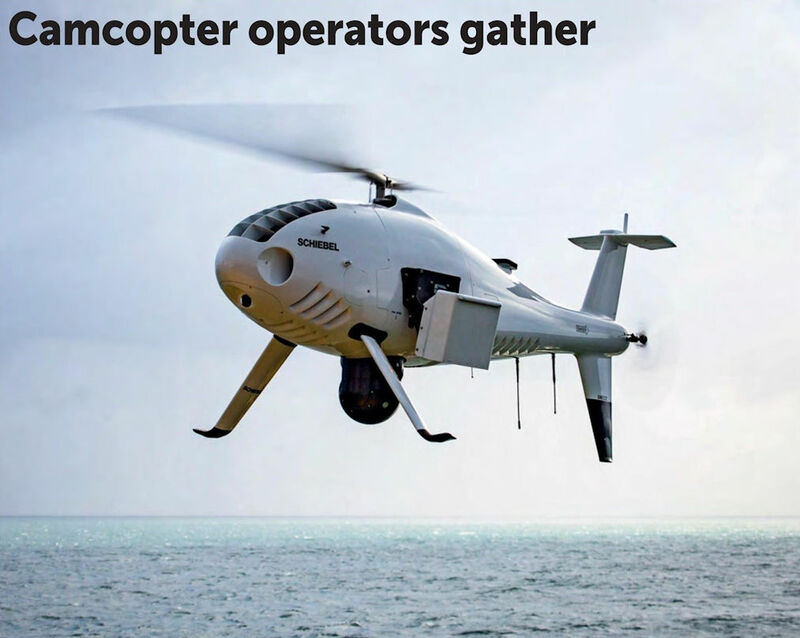 Camcopter S-100 operators recently attended a three-day user conference to exchange best practice. 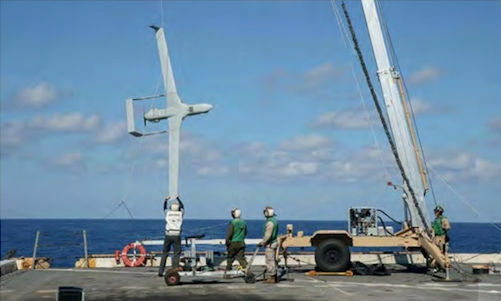 The US Marine Corps achieved initial operational capability with the RQ-21A Blackjack earlier this year. Here the 15th Marine Expeditionary Unit retrieves an RQ-21A aboard the USS San Diego (LPD 22) in October 2017. 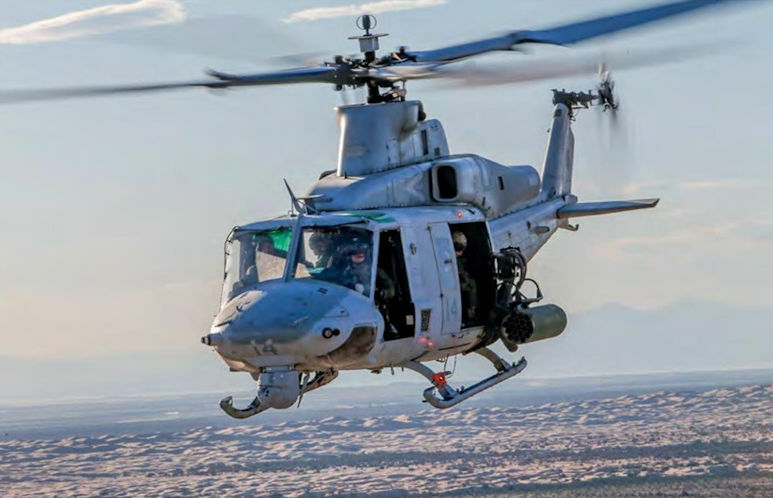 Could the Czech Republic be the first European customer for the Bell Helicopter UH-1Y Venom? 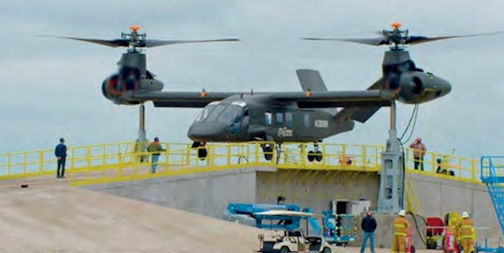 Bell Helicopter's V-280 Valor prototype, N280BH, successfully achieved controlled conversion from 95° to 75° pylon and back, allowing for full hover and low-speed-agility manoeuvring. 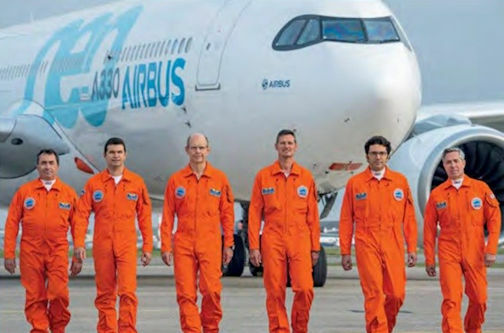 The aircraft will continue ground run testing at the company's Amarillo Assembly Center, where it will undergo a series of functional tests running all aircraft systems and flight controls in preparation for first flight. 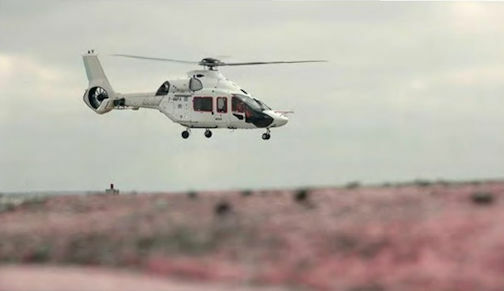 Airbus Helicopters has added a third H160 to its test fleet, aircraft PT3 registered as F-WWPA. The Vanilla Aircraft VA001 lands at Wallops Field after its five-day flight, a new record for a powered UAV. Air Canada's first Boeing 737 MAX 8 arriving at Toronto Lester B Pearson International Airport as ACA7168 early in the morning on November 2, 2017, from Kelowna, ready to commence flight training after its delivery flight from Boeing Field on October 31. 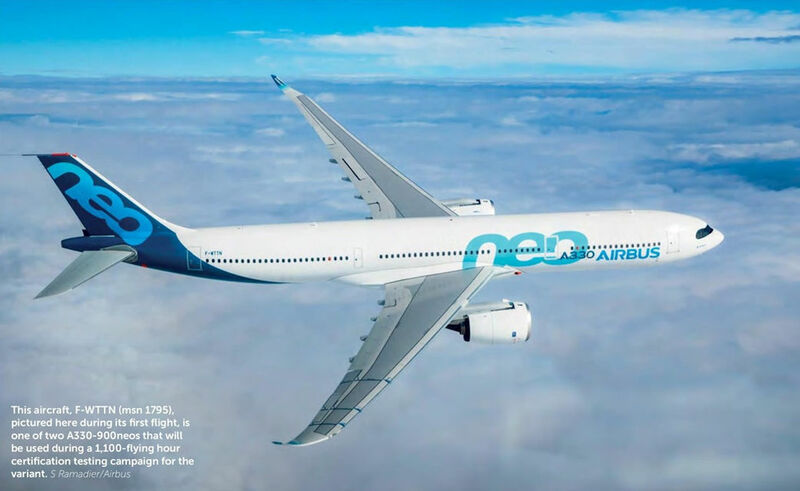 Norwegian carrier Wideroe has been confirmed as the launch operator of the E195-E2 next spring.